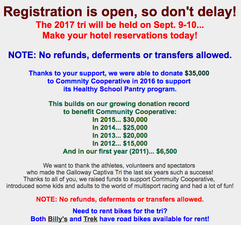 The Galloway Captiva Triathlon will take place at the beautiful South Seas Island Resort on Sunday, Sept. 10. A portion of this year's race registration will be donated to Community Cooperative and its Healthy School Pantry program providing emergency food to more than 2,000 local children each school year. Swim 1/4 mile (440 yards) in the Gulf of Mexico just offshore from the northern end of the resort. Bike 10 miles along the paved island roads of Captiva (which will be closed during the bike portion). 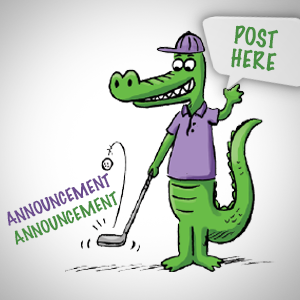 Run 5K along the Gulf, Redfish Pass and the South Seas golf course on a combination hard-sand and paver course.